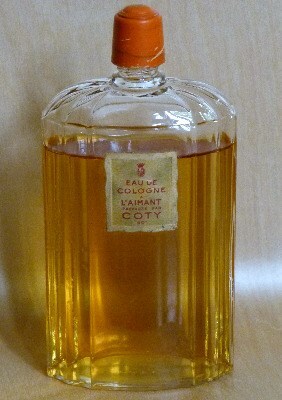 We were astonished as how wonderful this Coty L'Aimant smells. From the bottle design we're almost certain it's 1930s, and it was unopened until a couple of weeks ago. It's an aldehydic floral of the type which suddenly became fashionable in the 1920s.